Despite the delay in new Mac Pro models arriving on the market, Apple is still aiming to target professional users looking for new Macs, and has revealed plans to release new iMacs this year with new configuration options that could be attractive to prosumer and creative users. Disclosed to a group of journalists at Apple's headquarters, at the same time as plans for Apple's future Mac Pro releases, Apple marketing head Phil Schiller confirmed that new iMacs are in the works, slated for this year. 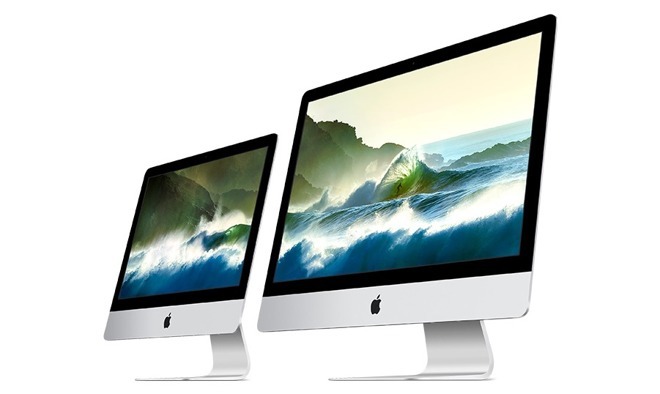 John Gruber of Daring Fireball noted Schiller advised this will include configurations of iMac specifically with the pro consumer in mind, revealing that the company's popular desktop with professional users is the all-in-one iMac. Apple senior vice president of Software Engineering Craig Federighi spoke about the evolution the iMac has seen over the last decade, from the original candy-colored tube iMac, to modern svelte models that can still satisfy many pro user needs. "And now you look at today's 5K iMac," Federighi said, "top configs, it's incredibly powerful, and a huge fraction of what would've traditionally - whether it's audio editing, video editing, graphics, arts, and so forth - that would've previously absolutely required the Mac Pros of old, are being well addressed by iMac." Federighi suggested there's still even further that Apple can take iMac as a high-performance pro system, and said the current form factor can address even more of the professional market. According to Apple's research, approximately 30 percent of the entire Mac user base use pro apps at least once per week, for media creation and software development tasks. Within this group, there is an 80/20 split between notebooks and desktops in terms of sales, and of these desktop sales, iMac outpaces the Mac Pro. While it remains to be seen what kind of configurations Apple has planned for the pro iMac, there have already been some changes on the Mac Pro side. Early on Tuesday, Apple issued a minor speed bump to the 2013 Mac Pro, with a six-core Xeon CPU and dual AMD G500 GPUs in the base $2,999 model, while the $3,999 variant gains 8 cores and dual D800 GPUs.